Clermont, Florida is found in Lake County just over 20 miles to the northwest of Orlando. It has a population of about 30,000 residents and it's considered a part of the Orlando-Kissimmee-Sanford Metro area. The metro area has a population of nearly 2.2 million residents. Even though Clermont is found outside of Orlando, it still sees plenty of tourists pass through every year. The tourists, along with the regular residents make this an area full of all kinds of different drivers. The metro area Clermont is a part of provides a number of tourist attractions, which leads to more than 50 million tourists visiting the area every year. The major roads found within Clermont include U.S. Route 27 and State Road 50. These two highways are responsible for many of the major area intersections, which can all be very dangerous. Clermont isn't far from Interstate 4, which sees over 180,000 vehicles per day. I-4 is also known as one of the most deadly highways in the United States. Traffic accidents in Clermont and Lake County are on the rise. If the law enforcement agencies in the area didn't enforce the traffic laws, it would be much worse. Lake County had nearly 25,000 traffic tickets issued in 2015. Out of these tickets, over 11,000 were issued for speeding and another 2,700 were issued for careless driving. Only 9% of the tickets issued were dismissed by a judge, which means you don't have much of a chance to get out of your ticket. 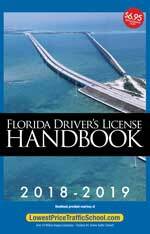 In Florida, you don't have the right to drive. It's considered a privilege, which can be taken away, if you don't obey the traffic laws, you may not have your driver's license for very long. Too many traffic violations may lead to a suspension, which only gets worse the more points you accumulate on your license. If you get just a couple speeding tickets in the same year, you may lose your license. After 12 points in 12 months, you lose your license for 30 days. If you get 18 points in 18 months, you will lose your license for 90 days and if you get 24 points of tickets in 36 months, you will lose your license for 12 months. Points can add up in a hurry and sometimes, a traffic stop leads to more than one ticket. However, you have the option to avoid points on your license with traffic school in Clermont, Florida. 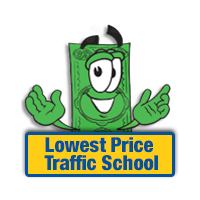 If you don't want to deal with more points on your license, you can eliminate them by enrolling in online traffic school. You need to plead no contest or guilty to the violation and pay the fine first. Make sure you let the clerk of the court know you plan to attend traffic school. Then, you can enroll online and take the basic driver improvement course. Once you complete the course, you will receive a certificate to return to the clerk of the court. Not only will using traffic school help you avoid points on your license, but you will also keep your insurance rates from going up. Plus, you can take the course right online from the comfort of your home. You have the option to use the traffic school course to eliminate points from a traffic violation up to five times in your lifetime. However, you can only take the course once every 12 months. As long as you meet these eligibility requirements, you will be able to use online traffic school to help keep points off your driver's license. When you pay your traffic ticket, it will be handled by the Lake County Clerk of the Court. The clerk will also provide you with any information you may need about the violation. Before attending traffic school, you will need to inform the Clerk of the Court, as well. Find out more about the Lake County Clerk of the Court by visiting the website.